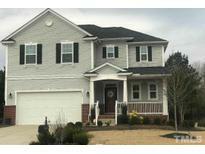 Below you can view all the homes for sale in the The Meadows subdivision located in Wake Forest North Carolina. Listings in The Meadows are updated daily from data we receive from the Raleigh multiple listing service. To learn more about any of these homes or to receive custom notifications when a new property is listed for sale in The Meadows, give us a call at 919-230-8729. Master suite includes large walk-in closet. Will not Last! MLS#2248381. 4883. Minutes to historic downtown as well as shopping, dining and recreation. 35 minutes to RDU Airport. 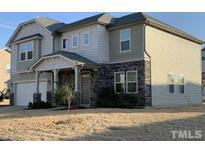 MLS#2246396. 297. A park is part of the Meadows HOA Of Wake Forest. MLS#2244040. 4823. Great family. Lets Sale Bring All Offers MLS#2237806. 1117. ENERGY STAR Home! Builder's warranty is transferable! MLS#2236218. 4860. This home is part of the The Meadows Homeowners Association. MLS#2231656. 4823.